Just imagine the view from your window, cityscape with a majestic mountain backdrop. Dinner at an excellent Thai restaurant or trendy bistro, then on to the theatre or concert, all just steps away from home. Urban living is experiencing a strong revival here in Asheville. It seems as though more and more, people are in search of a low maintenance style of living combined with the convenience of having everything you could need or want within walking distance of home. This, in part explains the popularity of the downtown condo scene in Asheville. How exciting to have coffee shops, a huge variety of exceptional restaurants, bookstores, museums, parks, clubs, theatres, unique shops and art galleries just outside your front door. Certainly another part of the appeal of downtown Asheville is the impressive mix of Art Deco, Beaux Arts and Neoclassical styles of architecture, a number of these historic buildings have been repurposed to condo living and several new projects have been developed in recent years to add to the array of choices. 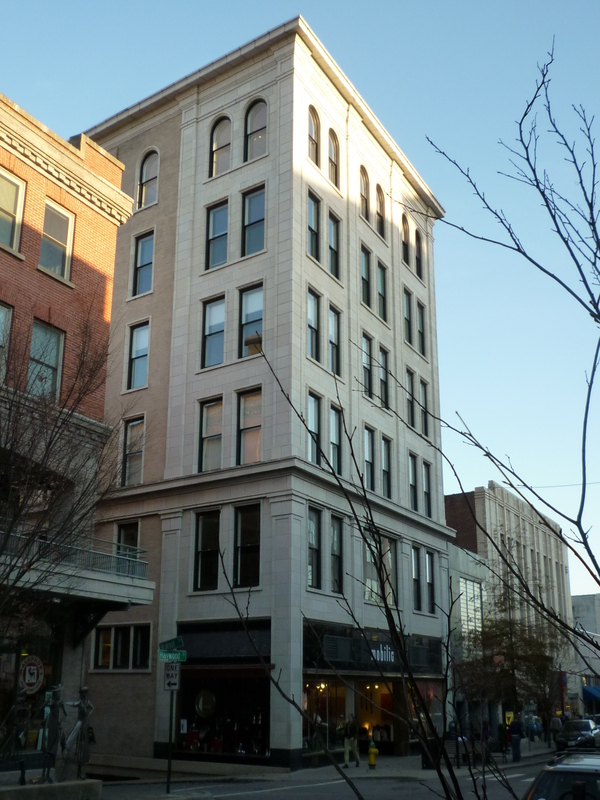 There is something for the lover of the historic as well as cool modern living choices like 12 South Lexington or 60 North Market now in the heart of downtown Asheville. As a child growing up in Asheville I remember downtown being a very vibrant and exciting place. We would shop at Ivey’s or Bon Marche’, the department stores that anchored Haywood Road, look for material at Fain’s and have lunch at the S&W cafeteria. Later as a teenager, my friends and I would hang out at Pritchard Park and shop at Woolworth’s when it really WAS a 5 & 10 Store. The architecture was interesting and there was a wonderful energy from the hustle and bustle of businessmen and shop clerks. Downtown really was the hub of all activity in Asheville at that time. Flash forward to the 1980’s and things were different. I had moved to Chicago where I would live for many years. Visiting home I was saddened to see that downtown was pretty much a ghost town of boarded up buildings, so different from the vibrant downtown of my memories. Like so many other cities the general population had moved to the suburbs and the central shopping area was now the mall. Thankfully, the 1990’s saw the slow beginnings of the revitalization which continues even today, downtown Asheville has been rejuvenated and is once again the central hub of activity. 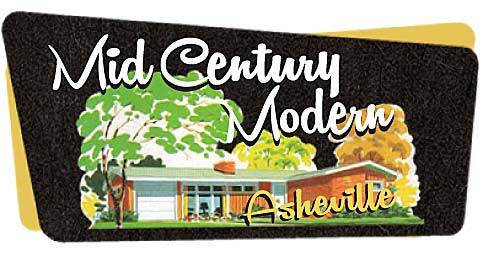 Asheville is certainly known for its art deco architecture, more art deco architecture than any other city in the southeast with the exception of Miami, and not only are these incredible structures still standing but many of them are being revitalized for new uses. We still have the S&W but it has been converted to condos, as has the historic Kress Building and Woolworth’s is now a gallery for local artisans. And did I mention that there is always something to do in Asheville? Being a newcomer to Asheville, my colleague, Kelly, tells me that she fell in love with Asheville on her first visit from L.A. and knew this was the place she wanted to be. When I asked her what it was about Asheville that she found so appealing she said she was attracted by the big city/small town feel of Asheville. “Where else can you find such amazing food, incredible art and wonderful people?” Downtown boasts an amazing array of restaurants to explore, everything from Tapas to down-home Southern style. There are festivals through the spring, summer and fall. Musical concerts offer something for everyone; symphony, opera, jazz, indie rock, blue grass. Art walks happen regularly downtown and in the neighboring River Arts District. Downtown living has the amenities built-in! As realtors situated in the very center of all this activity, Kelly and I have a unique perspective on the Asheville downtown condo scene. Visitors stop in frequently to ask about downtown living options and to check out the Asheville real estate market. We will share our insights and knowledge of the many choices for modern downtown living in our coming posts.